Is your vehicle missing that kick it used to get when you hit the gas pedal? Does it smell like maple syrup or burnt paper in your garage after a long drive? Do you hear a thud when you make a sharp right turn? 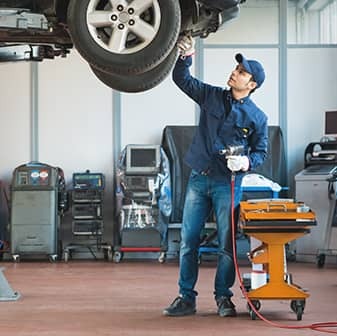 Whether it’s time for an oil change or you want to know if that humming noise from your rear wheel means a part needs to be replaced, our experienced technicians at our state-of-the-art Honda service center are here to help. Rest easy knowing we use dependable, genuine Honda parts to bring back that feeling like the first time you drove your car off the lot. If you’re short on time, schedule your service appointment early online or call (636) 336-5006, and we’ll have you back on the road in no time. You don’t have to take our word for it though; come on down to Frank Leta Honda in 500 Auto Mall Drive in O’Fallon, MO today. Whether you’re a local driver or you hail from the surrounding St. Louis, O’Fallon MO, Saint Peters, and Saint Charles areas and beyond, we’ll strive to give you the best dealership experience we can muster. Come for the cars, come back for the camaraderie. St. Louis Honda car owners, current and future, look no further than Frank Leta Honda. 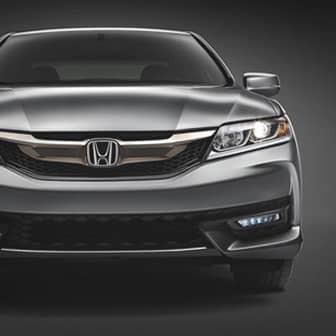 We offer a huge inventory of new honda cars, suv’s, and vans for the entire Saint Louis Area. We also have a very large selection of used Honda cars and various other quality brands. Our focus is on providing top-notch customer service from the moment you set foot on the lot and for years to come. Frank Leta Honda Near St. Louis, Saint Peters, Saint Charles and Chesterfield in O’Fallon Missouri has been a local preferred Honda dealer for over 50 years. Our experienced staff of managers, salespeople, Certified Honda Product Specialists, and certified Honda mechanics are not only here to help you select your next Honda, but also keep that vehicle on the road in like-new condition for years to come. We are dedicated to making sure you get your new or used vehicle at the right price. We believe there’s a Honda model that is right for you waiting on our lot, but with so many options to choose from, how do you know which is right for you? The New 2019 Honda Models St Louis are now available for test drive at your Local St Louis Honda Dealer – Frank Leta Honda. With options like the new 2019 Honda Accord, 2019 Honda Civic, 2019 Honda HR-V, 2019 Insight, 2019 Pilot, 2019 Honda Odyssey, 2019 Honda Ridgeline, 2019 Honda Fit, 2019 Honda CR-V, 2018 Honda Accord, 2018 Honda Civic, 2018 Honda CR-V, 2018 Honda Fit, 2018 Honda Ridgeline, 2018 Honda HR-V, 2018 Honda Odyssey and 2018 Honda Pilot, we know there is a lot to consider. Come test drive a new Honda vehicle at Frank Leta Honda Near St Louis. If you are looking for something to save on gas come test drive the 2018 and 2019 Honda Fit at Frank Leta Honda near St Louis, Missouri. 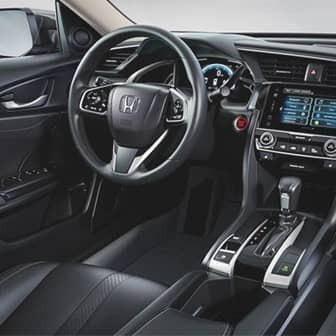 Peruse our selection of of new Honda inventory here online, and when something pops out at you, we’ll set you up for a little joyride (i.e. test drive). Singing along to the radio, while optional, is certainly recommended for the full experience. If a new car isn’t tickling your fancy, a vehicle from our broad selection of used Honda inventory is sure to do the trick. 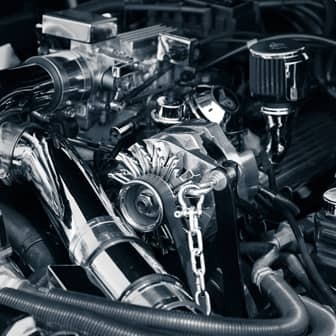 There are many advantages to opting for a pre-owned auto, including a cost savings. Moreover, each car we offer at our Honda dealership near St. Louis exceeds our strict standards for quality, reliability, and performance. Our team isn’t simply committed to helping you find your next car; we want to ensure you drive it home as well. That’s why Frank Leta Honda staffs an onsite auto financing department. 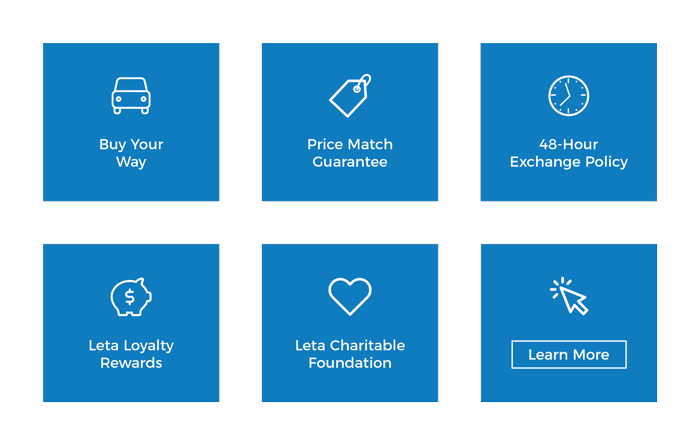 Simply put, we’re here to crunch the numbers, make calls and do everything else in our power to find a financing solution that works for you. The question most people ask is “should I buy a new Honda or should I lease a New Honda”? All you have to do is sit back and picture your next Honda parked in your driveway. Learn more about what our team can do for you by visiting us in person today. If you are ready to get the ball rolling, feel free to take advantage of our online auto finance application, and see what you qualify for.